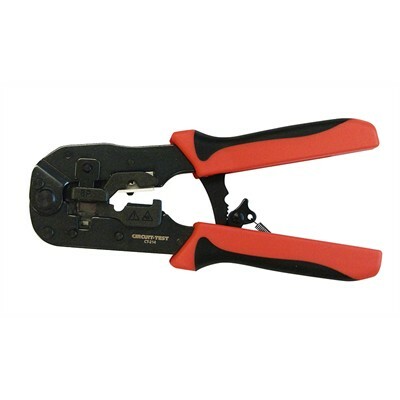 Ratcheting crimp tool for Pass Through and standard RJ45 plugs. It crimps the connector as well as trim the excess wire-ends with a smooth flush cut all in one motion! (Circuit-Test connector part number: 100-208PT5-10 & 100-208PT5-100).